Victory! 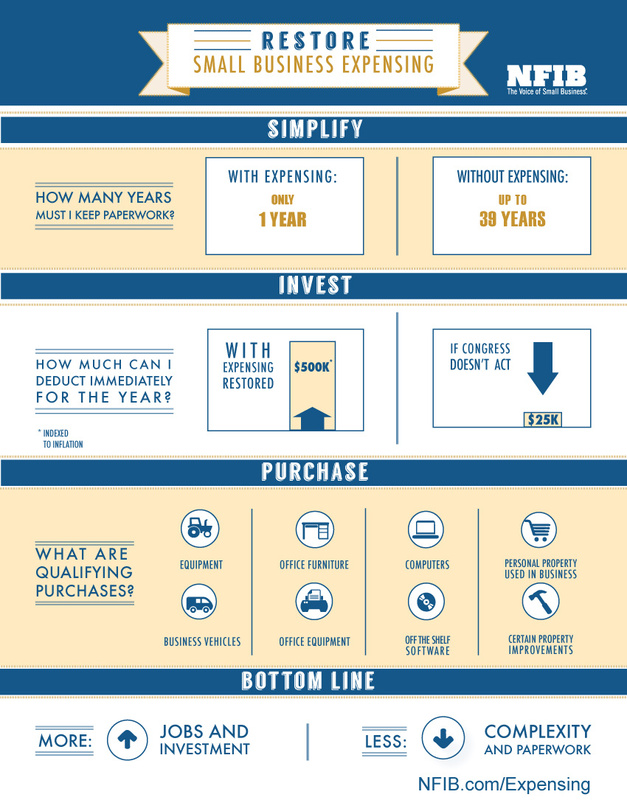 Small Business Expensing Made Permanent! Thanks to action from small business owners like you, a permanent small business expensing limit of $500,000 has passed the House and Senate in the Protecting Americans from Tax Hikes (PATH) Act of 2015.